Want to find out more? Apply now and one of our recruitment team will get in touch to answer any questions you have. The Gym Jesmond Sports Centre kitted out with a state of the art gym with over 60 work stations, comprehensive fitness class programme, sports hall and dedicated immersive spin studio. By joining YPT as one of our Personal Trainers you automatically get free membership to the centre and all it’s facilities. Click here to view the centre's website. Being a YOUR PT Personal Trainer allows you the flexibility to work within our guided pricing brackets and work the hours that suit you and your clients. The average earning of our PT’s is over £30,000 per year but we have many PT’s who earn over £50,000 per year. The following table gives you an idea of what you would earn per year based on number of session per month and the price you charge. YOUR PT charges no more than the value of 15 sessions a month in licence fee, with the first 1.5 months free to help you get your business up and running. You can plan your work to suit you and your clients. We can sometimes offer a reduction in rent for hours depending on the specific gym. Born in 2008 YOUR Personal Training UK is the passion of Joe Oliver, a former YMCA Fit graduate and his Team of Regional PT Managers whom were all successful YOUR PT Personal Trainers. YOUR Personal Training UK was launched to help him and other passionate PT's like him be their own boss and follow their dreams. With YOUR Personal Training UK the clue is in the name. It is all about your passions, your goals, your future. You are in control and it is YOUR Personal Training business. 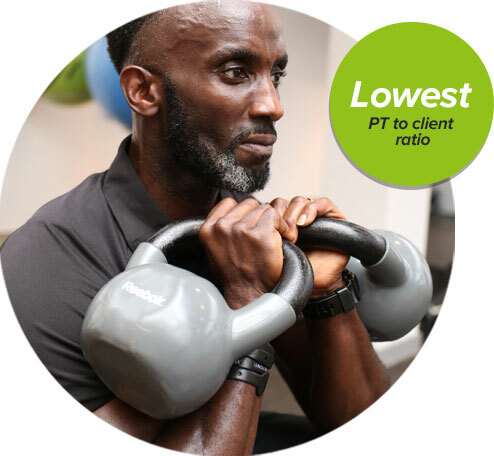 Since 2008 YOUR PT now has over 800 PT’s across 420 gyms and works with 54 different leisure operators, making us the leading PT management company in the UK. To apply online for this job, please click the button below and follow the steps in our application tracker.